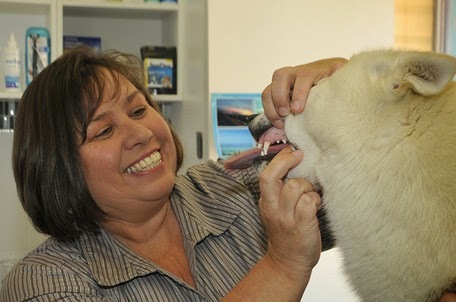 Dr Liz... the vet from Russell Vale Animal Clinic: Dr Liz's Gratitude Project 2014 - Puppy licks! Dr Liz's gratitude project 2014 is on - have you tried to find something to be grateful for every day? I am grateful for the amazing puppies that came to visit me, and give my face a free wash. These happy puppy and kitten moments is the image of what everyone thinks our work is all about... it is an illusion that should not be spoilt.